DETROIT -- General Motors Co. today said it had selected the corporate restructuring firm AlixPartners to oversee the wind-down of Saab. GM also said it would continue to evaluate proposals to buy the Swedish brand. "This evaluation is not affected by the appointment of AlixPartners," GM said in a statement. Hiring a supervisor such as AlixPartners is a common practice in Sweden, GM said. Also today, the investment group Genii Capital said it had made an offer for Saab with Formula One motor racing boss Bernie Ecclestone. Dutch luxury-car maker Spyker Cars NV also said it had made a revised offer. Swedish media reports today named Jan Nygren, a former executive of the aerospace arm of Saab and former senior official in Sweden's defense ministry, as the head of a group of Swedish investors submitting a last-minute bid. 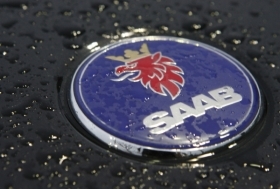 GM had sought a bidder for Saab since early 2009. Swedish supercar maker Koenigsegg Group AB was in talks to buy the brand but canceled its bid this fall. Since then, several potential buyers, most notably Spyker, have floated proposals to purchase Saab even as GM has said it plans to wind down the brand.